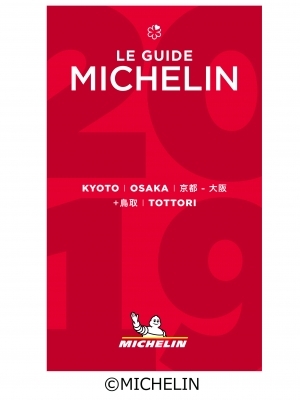 › Featured on the Michelin Guide Kyoto Osaka + Tottori 2019 ! Featured on the Michelin Guide Kyoto Osaka + Tottori 2019 ! The Royal Park Hotel Kyoto Sanjo has been featured on the Kyoto Osaka + Tottori 2019 Michelin guide released on October 12th, 2018. The hotel earned a rating of two black pavilions, which signifies a comfortable hotel. The hotel was first featured on the Michelin guide in its 2012 edition, a year after the hotel’s inauguration. Since then it has been featured on the guide for the 7th year in a row. Our second hotel in Kyoto, The Royal Park Hotel Kyoto Shijo which opened in April 2018 has also been featured on the Michelin guide for the first time, also with a rating of two black pavilions. On this occasion we would like to express our gratitude to our guests who have helped us achieve this. During your next stay in Kyoto, please consider staying at one of our hotels. We look forward to your visit.